Elephants have long since been a symbol of luck and power, especially when depicted with the trunk in an upward position. 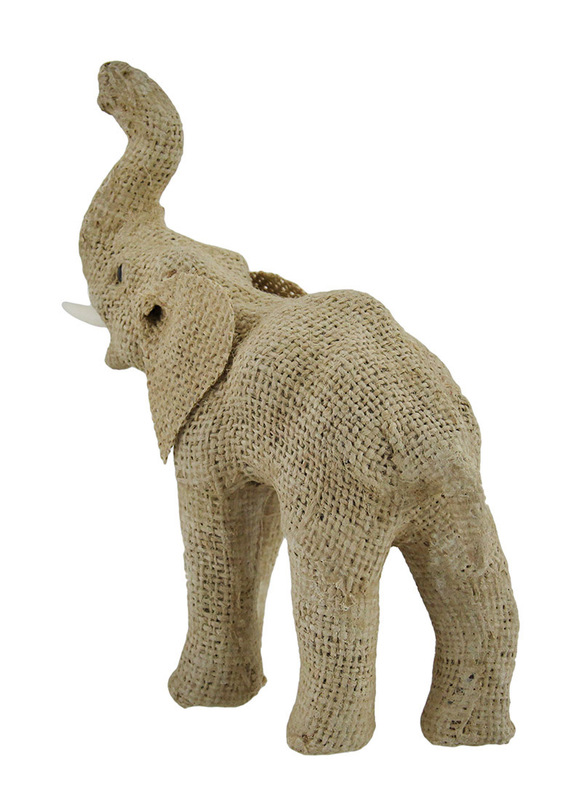 Bring the power of the elephant to your home with this decorative jute burlap covered elephant sculpture. It's artisan hand made in India, and will bring the exotic feel of the wild to a table top, wall shelf or nightstand. Quite versatile, this elephant beautifully enhances rustic to modern decor, and you can embellish it with your own creative touch. If you know an elephant lover, this sculpture is great as a gift! 7.5 inch high x 6.5 inch long x 2.75 inch wide.